Jeneille LaGrone is a passionate pursuer of Jesus and has a love for the Church that continues to grow. A Biblical teacher, encourager, worshipper, musician, and equipper - she brings all of herself to the service of God. As Senior Pastor of First Christian Church she leads us to be the body of Christ in our community through worship, service, and loving our neighbors well. Jeneille and her husband Chad have three children and live in Hallsville. Jeneille is a TCU Horned Frog, graduating in 2002 with BA’s in Religion and Music. She has been a Commissioned Minister in the Christian Church (Disciples of Christ) since 2010. 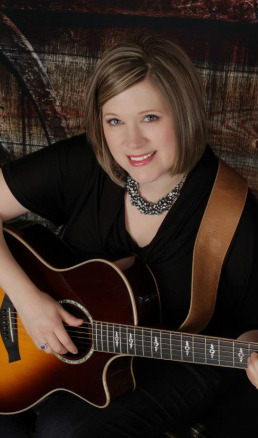 She has served in ministry since 2001 enjoying serving as a minister to youth and young adults, minister of music, associate minister and now stepping forward as Senior Pastor following God’s continuous calling in her life.